We estimate the Australian agricultural investment universe to be ~A$250b of investment grade assets. Opportunity currently exists for investors to partner with Growth Farms to invest in and across the Australian agricultural sector. 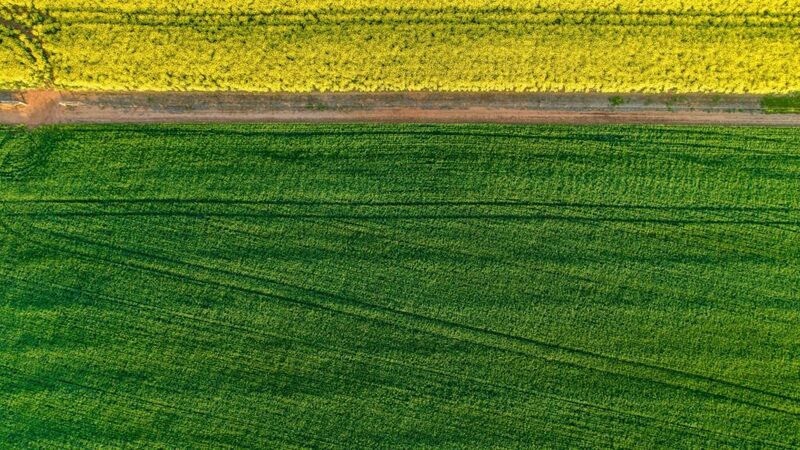 The Australian Agricultural Lease Fund is a 10 year closed end wholesale fund that will acquire farmland across Australia on behalf of investors and lease it out to third party farm operators. This vehicle will capture any capital appreciation as well as provide investors with a steady form of lease income. The target total annual return for the fund is 10-12% post fees, with a target annual distribution of 3.5 – 4.0%. The fund offers investors exposure to an uncorrelated asset class with the aim of reducing risk by leasing all assets to tenants. The fund is now open for investment. Growth Farms Australian Agricultural Lease Fund is only available to persons who satisfy the Wholesale Investor provisions of the Corporations Act. For a copy of the Investment Memorandum and an application form, please contact us or email us at info@growthfarms.com.au. 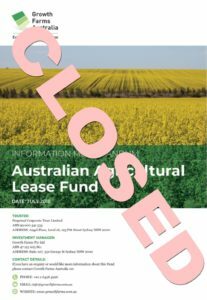 PLEASE NOTE: Investment applications for the Growth Farms Australian Agricultural Lease Fund have closed as at 31 December 2018. Separate Managed Accounts offer investors a bespoke avenue through which they can develop their own investment mandate alongside Growth Farms to suit their own investment profile. Growth Farms currently has the capacity to work with investors to develop investment mandates, acquire and manage Australian agricultural assets. Growth Farms also offers to take over management for current farm owners looking to retire or for new management and improved performance.